Vociferous football Administrator, Nana Kwesi Darling has described the Ghana FA Normalization Committee as 'relaxation committee' following the extension of its mandate by Fifa. 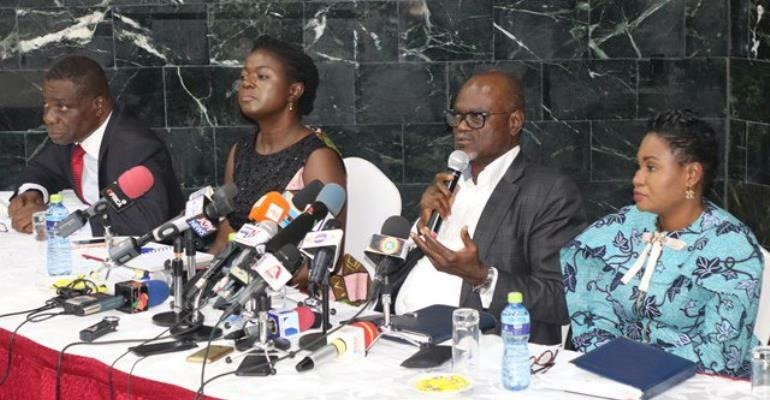 Chairman of the Committee, Dr Kofi Amoah addressing the press on Friday confirmed that FIFA has extended their mandate with six months and will be office till September 30. Commenting on the extension of the Normalization Committee’s mandate, the Bechem United CEO reiterated that the committee has failed woefully in discharging its core mandate, hence its extension. Speaking to Angel TV in an interview, he insisted that the Normalization Committee is supposed to go to Congress for a decision to be taken, but are reluctant because they know that they would lose. “I doubt this NC would even leave when the additional six months ends because the committee has now turned to relaxation. "Look, if am to rate them, I would give them 3%, they failed woefully. How can you play football without Congress, what they are doing doesn’t make sense. "I don’t blame them, because it’s obvious they are square pegs in round holes. How many of them have even managed just a single player? "I’d don’t trust them, and don’t have any hope in them although their period has been extended,” he said. The Committee is expected to launch a special competition for the clubs today at the premises of the Ghana FA.